Inspiring the Next Generation of Technology Experts! At SiteLock, we are extremely passionate about giving back to the communities where we live and work. We are especially dedicated to supporting STEM (Science, Technology, Engineering and Math) programs for schools in need, and helping to inspire the next generation of technology innovators and pioneers! In 2015, SiteLock established the Digital Kids Fund to help support technology-based projects at local schools in Arizona. For every SiteLock product purchased by WordPress customers, SiteLock donates $1 to the fund. In 2016, we partnered with DonorsChoose.org, an organization that makes it easy for anyone to help a classroom in need, to fund STEM-related projects in schools located in the Phoenix, Arizona and Jacksonville, Florida areas. We donated a total of $50k, which supported 198 projects and benefitted 19,992 students at 141 schools. This year we once again teamed up with DonorsChoose.org, but increased our total donation to $60k and included an employee gift card program! Every SiteLock employee was given a $25 gift card to support a STEM-related project in the Phoenix and Jacksonville areas. In total, our donation supported 234 projects benefitting 30,952 students at 184 schools! Here is just one example illustrating how our efforts are helping to inspire the next generation of technology experts! 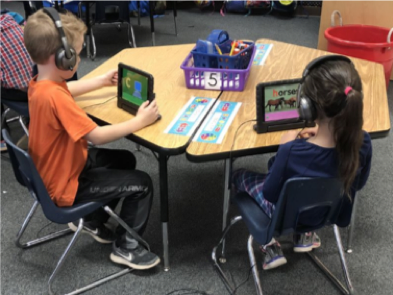 On behalf of our Kindergarten classroom, we thank you for your investment in the adventures of being able to use technology in our classroom to help us learn! The future is technology and now I can provide the opportunity to use technology to all my students, even if they don’t have access to it at home. Our students are so excited when they get the opportunity to work with an iPad. We have started using the iPads during our intervention time, but students have also been able to earn iPad time as a positive behavior reward. We have downloaded lots of leveled apps so that each student can learn something new based on their own abilities. A few of my students were struggling to learn their letters and sounds. All students learn differently, and the iPads have really helped to reach some of my students that need additional support to help them learn. My students that did not know any of their letters and sounds now know almost all of them, if not all, after just a few weeks of incorporating the iPads into our intervention time. We truly can’t thank you enough for your generosity as you are not only helping my current Kindergarten class, but the iPads will continue to help my future classes as well! Working in the technology field, we are reminded every day of the importance technology plays in our lives, both at work and at home. Through our partnership with DonorsChoose.org we are able to help drive awareness on the importance of STEM education and look forward to what 2018 holds for the Digital Kids Fund!